Stowe House is a Grade I listed country house located in Stowe, Buckinghamshire, England. It is the home of Stowe School, an independent school and is owned by the Stowe House Preservation Trust. The gardens (known as Stowe Landscape Gardens), a significant example of the English garden style, along with part of the Park, passed into the ownership of The National Trust in 1989 and are open to the public. The house is open to the public on 280 days a year with tours during the school holidays, and during term time. The parkland surrounding the gardens is open 365 days a year. 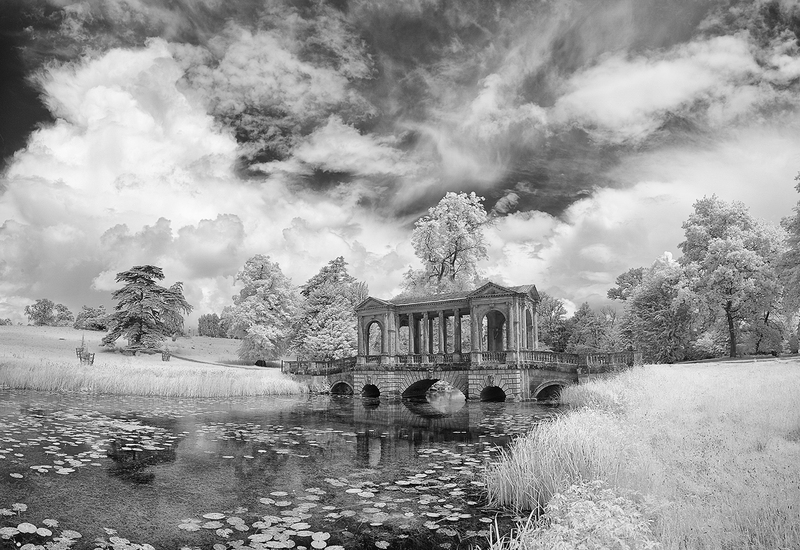 This Palladian Bridge is a copy of the bridge at Wilton House near Salisbury, Wiltshire. The main difference is that the Stowe version is designed to be used by horse-drawn carriages so is set lower with shallow ramps instead of steps on the approach. It was completed in 1738.